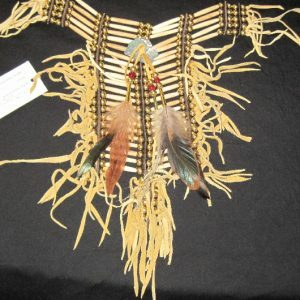 This BREASTPLATE CHOKER features 21 rows of black buffalo horn hair pipes with black metal round beads on black buckskin leather. 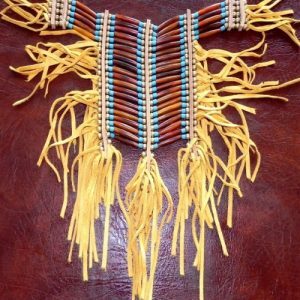 Even the spacers are hand cut from this buckskin which makes it wear very comfortable without pinching or sticking. 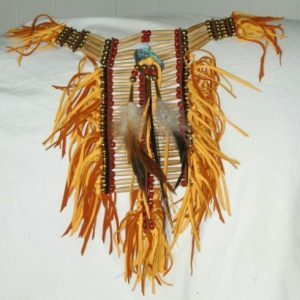 It is finished with gobs of buttery soft buckskin fringe, a polished abalone with feathers & horse hair dangles.